Ryley Walker is a 24 year-old singer/songwriter and guitarist from Chicago. His debut album will be released in April 2014 on Tompkins Square. 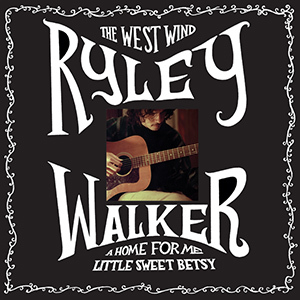 "The West Wind" is Ryley's debut 3 song EP, featuring "The West Wind" from his forthcoming album on Tompkins Square, and two B sides : "A Home For Me" and "Sweet Little Betsy". The B sides will not appear elsewhere, digitally or otherwise. The 12" is audiophile quality, 180g vinyl at 45rpm. Limited pressing of 1300 units.